You all drive the boat when it comes to these Test Kitchen posts (unless there isn't participation)! 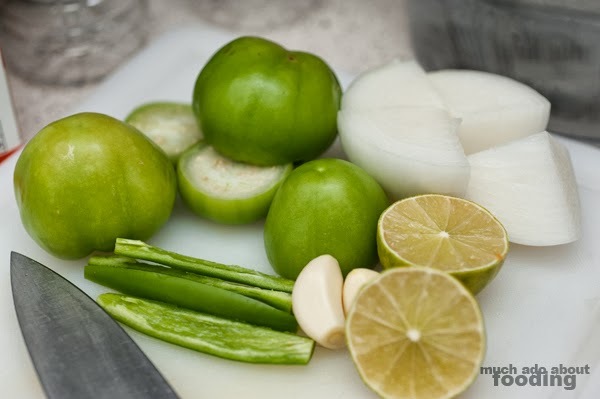 For those of you unaware of the series, I post up on Facebook a picture of an ingredient I haven't cooked with before, and readers submit either suggestions on what to do with it and/of the type of stuff they want to see me do with it. 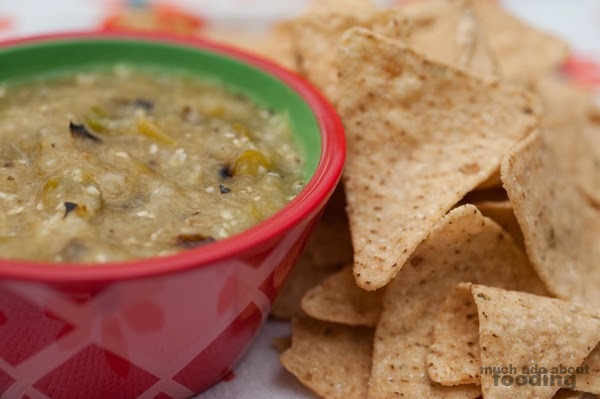 Last week's was tomatillo. It almost seemed natural to put together a salsa with this stuff but how to make it different? 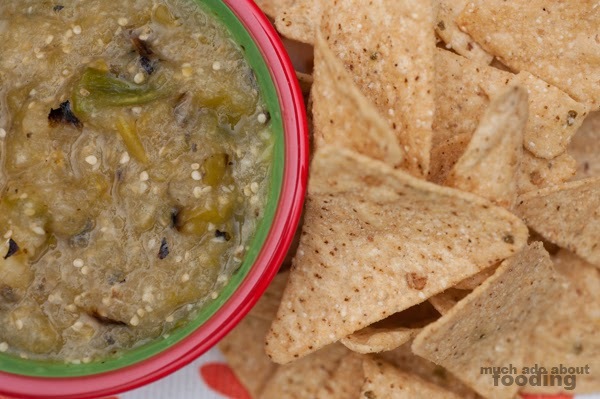 Oh that's right - roasted it a little bit for a spin on the traditional tomatillo salsa. 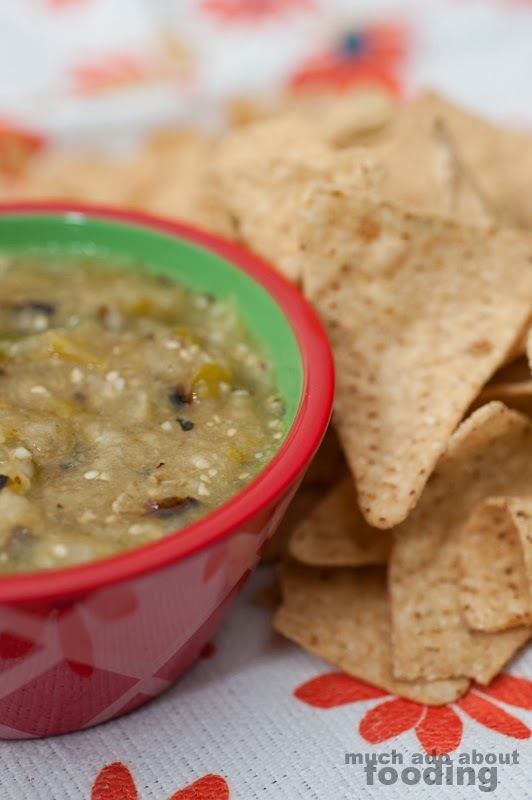 This recipe produces a spicy bowl of delicious dipping for your chips so make it as often as you like when you've got the munchies! Honestly, this recipe is super simple. 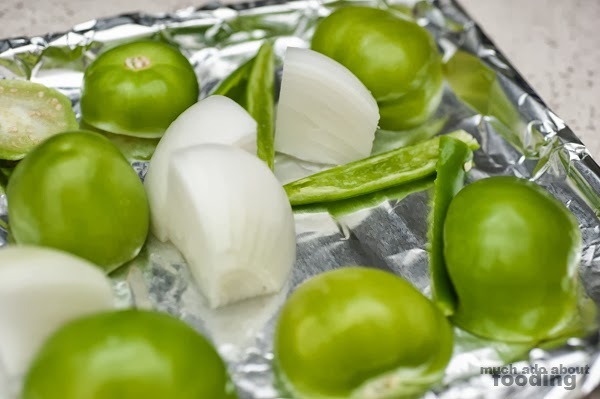 Quarter half an onion, deseed and slice lengthwise a serrano pepper, and halve the tomatillos after removing the husk. 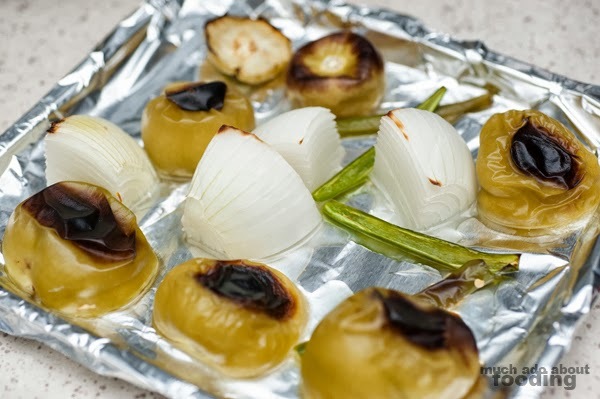 Broil for about 10 minutes until vegetables brown. Peel garlic cloves and drop into a food processor. Add roasted vegetables and lime juice. Puree and then serve! 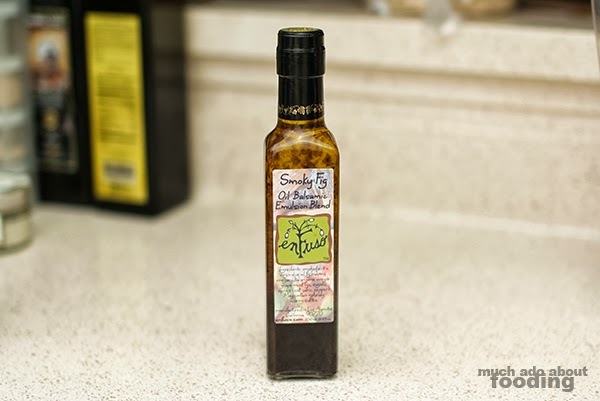 We met Enfuso at a Williams Sonoma Artisans' Market one day and were struck by how tasty their balsamic vinegars and olive oils were. This Smoky Fig emulsion was one of those unique flavors you can't get out of your mind so here we are with it as a Test Kitchen ingredient - thoughts? Comment on the picture when it goes up on Facebook. I can't wait to try this recipe!!! It looks good!! !